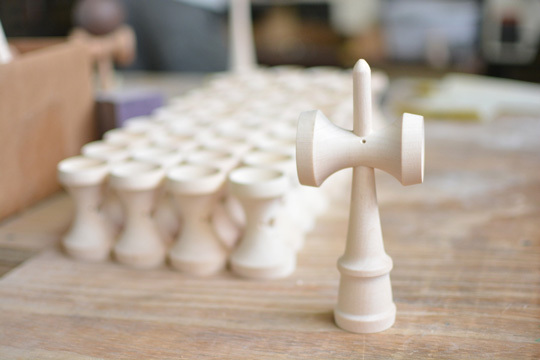 If you're a seasoned kendama slayer you probably have a tama or two (or 20) that are broken into perfection; but maybe the ken has seen better days. Pair one of your favorite tamas up with a crispy RWB ken and rekindle that relationship. Designed and manufactured in Chattanooga, TN. Bullet tip provides unmatched spike durability Balance: Gun slingers with ease x Great lunar balance Base cup geometry optimized for maximum stall surface area Linear handle is great for all hand sizes. WARNING: Contains long cords and small parts. Not intended for small children.